FROME has a new Carnival Queen as Kelly Pleasants was crowned at a ceremony where the other royalty members were also chosen. 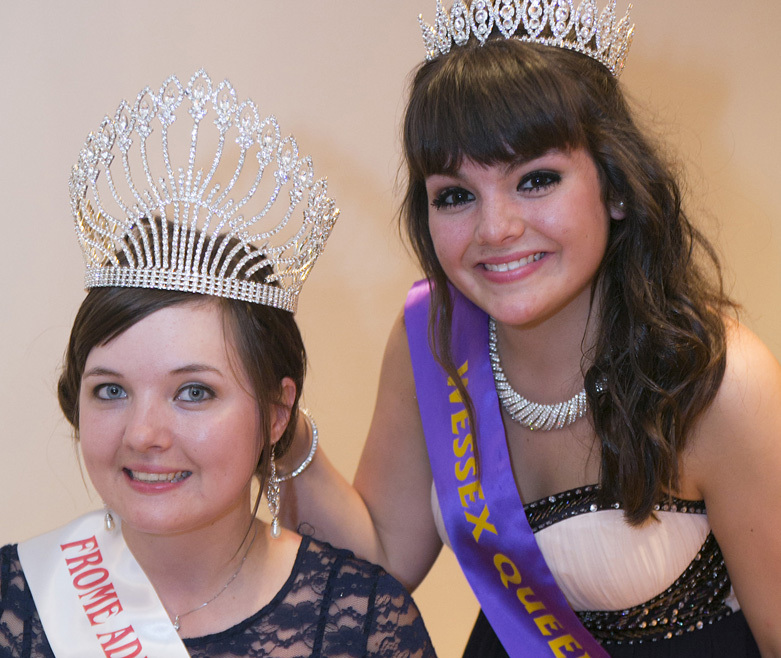 At a ceremony held over two days, judges decided on the new Children’s Carnival Queen, Carnival Granny, Wessex Queen 2013, and Miss Teenager. June Barnes, chairman of the carnival committee said, “Both events have been very successful. We had fantastic turnouts and some real high quality with very deserved winners. This year we have had a big increase in the number of entrants, which is great to see. There was also a rise in the number of spectators, so I’m pleased. Kelly Pleasants, aged 19, was crowned Carnival Queen from 15 contestants, with her attendants being named as Alex Morgan, Thea Penny, Sarah Wingrove and Jess Davies. Lily Breese took the Children’s Carnival Queen crown with Melissa Cook, Megan Wright, Jordan Hayden and Bethany Couldrake her attendants. Sandra Dean won the Carnival Granny competition after five times of entering in previous years. Miss Teenager was won by Talie Aven, with Courtney Wort named as her attendant. Frome Carnival Queen 2012, Laura Evans, was crowned Wessex Queen for 2013. This year’s Carnival takes place on Saturday 21st September.